Up until earlier this year, Sunita Lamichhane, chairwoman of Surkhet’s Lekhgau Drinking Water Committee, lived a guilt laced life. Every day around noon break, she would see students from the area’s school rush out of their classes with empty buckets. Water supply was such a rampant household problem that, along with the adults, even the kids had to spend their free time carrying pails of water. Children as young as 12 were obliged to walk for about two hours and carry around 10 liters of water on a regular basis and despite her post at the village, Lamichhane claims to have felt helpless at the sight, every single time. 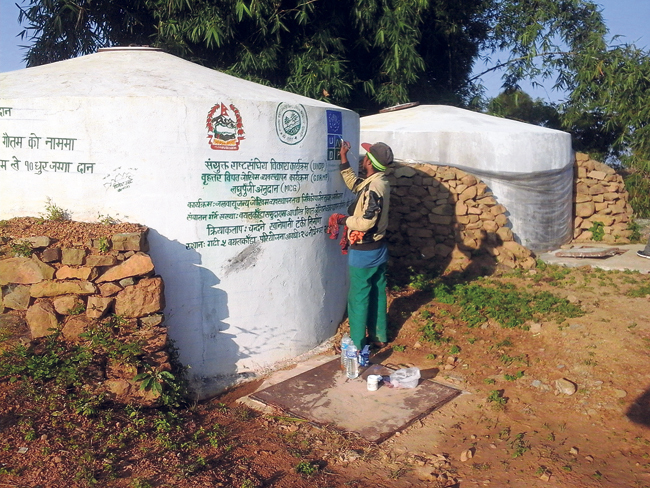 The Regional Monitoring and Supervision Office in Surkhet estimate that 10 VDCs in the district suffer from water scarcity. Abit Hussein, senior engineer at the office, says that the geographical landscape of the places is the major reason behind such scarcity. In most of the cases, the water sources are much below then the settlement areas. So for instance, if people from Lekhgau have to walk two hours, over at Gadi Bayalkada, Dayal Singh Rokka points at the hill on the opposite side of his house as his source for water. “There have been days when I left at six in the morning and returned at three in the afternoon. Not only is the distance quite long, we would always have to wait in line. Almost every villager would be there to fetch their share and sometimes fights would break out as well,” says Rokka. Over the decades, it wasn’t only just his family members who bore the brunt of the water scarcity, his animals and farm suffered as well. 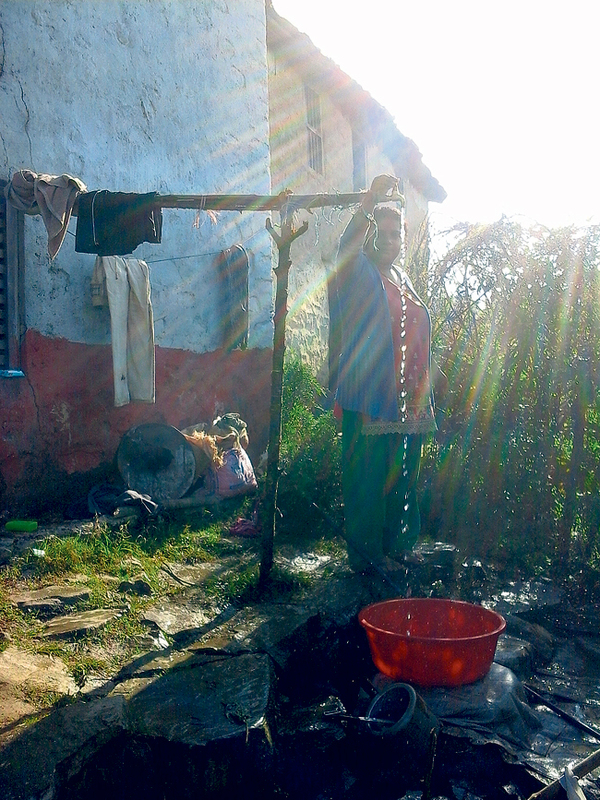 Since most of his days were spent on bringing water to his house, he rarely had enough time to devote to work. Rokka shares that he could see his neighbors go through the same struggle. They thought the fate of the village was doomed, and thus many left their homes and chose to migrate elsewhere as well. Rudra Subedi, chairman of the Gadi’s Drinking Water Commission, also confesses to have felt utterly powerless over the years. His VDC has a lot of historic significance. It was once even anointed the capital of Surkhet. It is rather strategically placed as well, offering the only full view of Surkhet ranges and cities. He also knew that there were investors who were interested in capitalizing these perks of Gadi and starting various businesses, was it not for the water woes. But despite his best efforts, Bhandari like Lamichhane from Lekhgau was constantly being stumped by the same problem: lack of funds. And this is precisely why the timing of an initiative bought on by the United Nations Development Project (UNDP) last year couldn’t have been more appropriate. Under their Climate Risk Management and Livelihood Promotion project, they decided to help both Gadi and Lekhgau bring water from their resources to their houses. Rokka from Gadi talks about the villagers’ initial skepticism on hearing the news. “To an extent, I think, we had resigned to the fate. We thought we would forever have to run back and forth for water. Even King Birendra couldn’t bring water up here, so we seriously wondered if it was really possible,” says Rokka. Even Lamichhane, chairwoman of Lekhgau’s Drinking Water Committee, confesses to having those very doubts. Although she had decided to put all her efforts to help aid the project from the get go, water had become a very sensitive issue in her VDC. Since it was so scarce, villagers from the lower settlements had laid their claims to the water source in that particular area. There were disputes on the couple of occasions when they had tried to suggest arrangements of taking the water to the villages on the upper side. 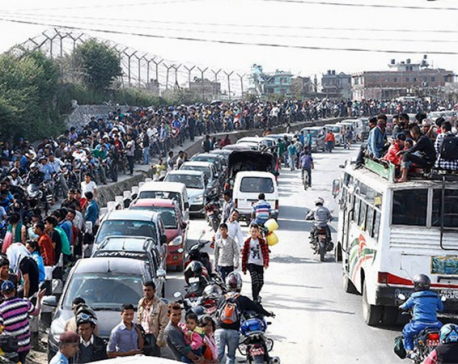 Still the desire among the people to make the most of this opportunity was evident. The respective communities got together and decided to earnestly use the funds to end the water problem that had been plaguing them for generations. UNDP’s plan was to help fund the construction of two tanks in Gadi for water storage and lay pipe networks so that they could pull the water directly from the source that the villagers had been using. Even though the pipe network would have to be 12 km long, it was deemed the best possible option. Over at Lekhgau, they also helped the two villages, especially the one laying claim to the water resource, come to a compromise. Then with an investment on two more tanks and a 20 horsepower motor, they planned to take water up to this particular village as well. They even had to construct an electric pole for the sole purpose. 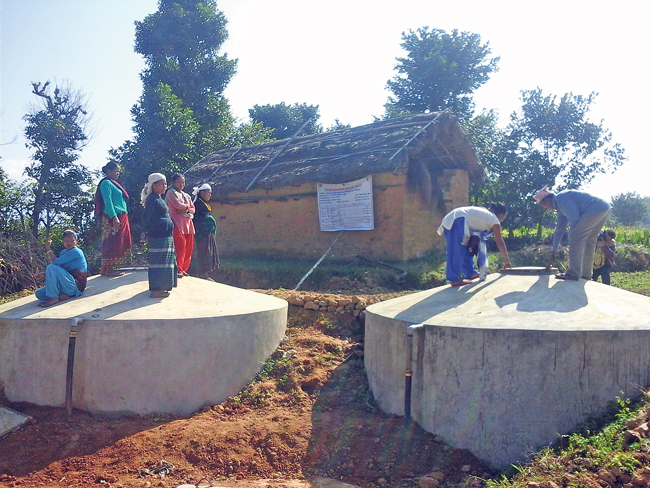 The completion of the project in both the villages took about seven months. Khatri was apparently also once a residence of Gadi but had migrated to the main city of Birendranagar because of the water shortage. He recalls having to carry water with his father as a child and says he didn’t want his own children to have to succumb to the same fate. However, now that the water woes are over, he was keen to return and once again live in the home where he grew up. Even though these are still early days for people in both Gadi and Lekhgau to have water in their taps, there are already significant changes at these places. Students now have the freedom to spend their time studying or playing. The adults find themselves focusing more on their work and many are even considering expanding their farms, now that they don’t have to run back and forth to and from the water sources. And this is just in the two months that they have had better access to water. Just like that the future of both the VDCs look brighter.